Happy Tuesday! I’m all about this bronze + burgundy combo this season. So rich and dramatic, don’t you think? 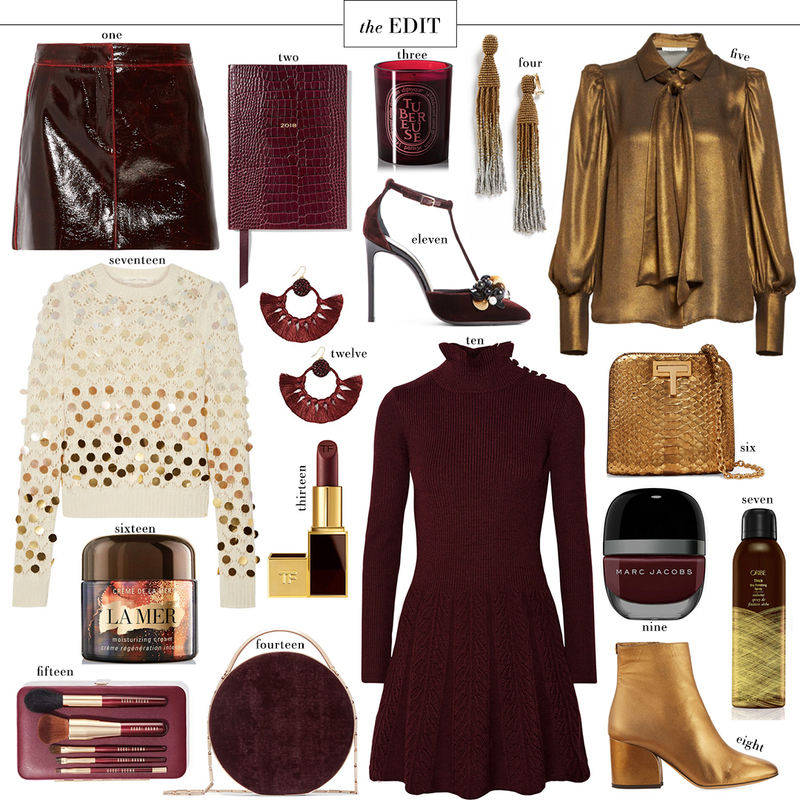 Wine hues are a big trend this season, and luckily you can find pieces at every price point. I’ve added a bunch of that color to the Fall Favorites, Under $50 and Under $100 sections in THE SHOP if you want to check out more styles! Don’t forget… to keep scrolling through more products, just keep hitting the “+” button!